We accept credit cards, personal & business checks. 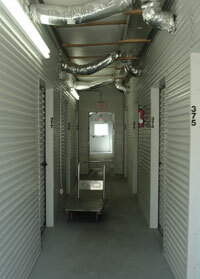 Regular and Climate Controlled storage units are available in various sizes to meet all your different storage needs. 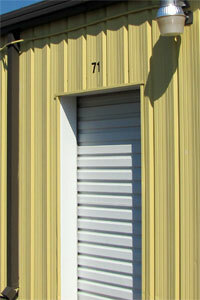 Regular storage is a Non-Climate Controlled storage available in various sizes to meet all your different storage needs. This is similar to storing outside in your garage or outside utility shed. 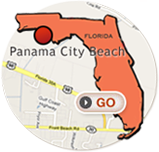 Today houses, condos, apartments have very limited excess storage areas for all our "extra" items. 5 x 10 Unit size: small walk-in closet. Great for storing small items, boxes and small furniture: couch, dresser, chair, twin size mattress set. 5 x 12 Unit size: small walk-in closet. Great for storing small items, boxes and small furniture: couch, dresser, chair or dining room set, small size mattress set. 7 x 10 Unit size: average size walk-in closet. Great for storing boxes and patio furniture, couch, sofa, dresser, chair, desk, or washer/dryer stacked. 8 x 15 Unit size: large walk in closet. Great for storing furnishings from small bedroom, miscellaneous furniture, patio furniture, appliances, small items or boxes. 10 x 10 Unit size: average size bedroom. Great for storing furnishings of a 1 bedroom apartment, refrigerator, washer/dryer, miscellaneous items and many boxes. 10 x 18 Unit size: large bedroom. Great for storing furnishings of a 2 bedroom apartment or house, many boxes and extras. 10 x 20 Unit size: one-car garage. Great for storing furnishings of a 2-3 bedroom apartment or house, appliances, many boxes and extras. 12 x 30 Unit size: large one-car garage. Great for storing furnishings of a 3-4 bedroom apartment or house, appliances, many boxes and extras. Climate control means that the units are basically air-conditioned units that are sealed in a way similar to your house as to keep the moisture and humidity from building up inside the units. They are "dehumidified" by the air conditioning. This means that it is like storing in your back bedroom. 8.5 x 15 Unit size: large walk in closet. Great for storing furnishings from small bedroom, miscellaneous furniture, patio furniture, appliances, small items or boxes. 10 x 25 Unit size: one-car garage. Great for storing furnishings of a 3 bedroom apartment or house, appliances, many boxes and extras. Have a question or comment? Please contact us.